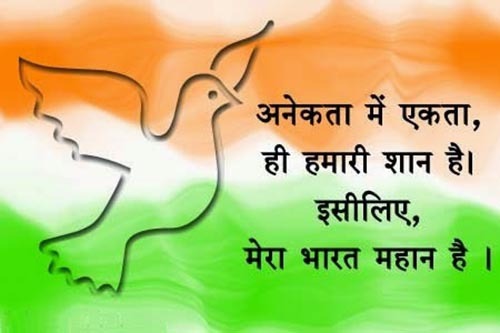 We have listed below some motivational, inspirational and revolutionary quotes said by the famous personalities and legends on Independence Day of India. We have given a list of quotes announced by some well-known celebrities, freedom fighters and legends of India (Swami Vivekananda, Jawaharlal Nehru, B. R. Ambedkar, Mahatma Gandhi, Indira Gandhi, Rajiv Gandhi, Netaji Subhash Chandra Bose, Bankim Chandra Chatterjee, Rabindranath Tagore, Bal Gangadhar Tilak, Bhagat Singh, etc) as well as other countries (Niccolo Machiavelli, Theodore Roosevelt, Elmer Davis, Andrew Jackson, Evo Morales, Alexander Henry, Joseph Pulitzer, Max Mueller, Albert Einstein, Abraham Lincoln, etc). “One individual may die for an idea; but that idea will, after his death, incarnate itself in a thousand lives. That is how the wheel of evolution moves on, and the ideas and dreams of one nation are bequeathed to the next” – Netaji Subhash Chandra Bose. “Fourscore and seven years ago, our fathers brought forth on this continent a new nation, conceived in liberty and dedicated to the proposition that all men are created equal” – Abraham Lincoln. “You must be the change you want to see in the World” – Mahatma Gandhi.